Clinic Synopsis: Raise the level of your band, orchestra or choir, improve student engagement and make your rehearsals more effective and efficient. The tested methods that will be presented allow you to accomplish more in less rehearsal time, while elevating the musicality and artistry of your rehearsals and performances. These proven teaching and rehearsal techniques may be employed immediately by conductors at all levels, and applied to any level of ensemble, from beginner to professional. Clinician Biographical Information Dr. Glenn D. Price has earned an international reputation as a leading conductor and educator through his experience conducting student, community and professional ensembles in over 30 countries. He has conducted many renowned soloists, including Evelyn Glennie, Christian Lindberg, Ney Rosauro, Jens Lindemann, Alain Trudel, Roger Webster, Kenneth Tse, Adam Frey, Simone Rebello, David Campbell, John Marcellus and Michael Burritt. Author of "The Eloquent Conductor" (GIA 2016), and widely regarded as an authority on the field of wind music, he has appeared as featured conductor for organizations such as CBDNA, WASBE, ABA, MENC, and BASBWE. His numerous recordings are recognized for expanding the repertoire while offering a performance model of technical precision and musical artistry. His distinguished performing, teaching and conducting career has included full-time positions in Canada, Los Angeles, and currently as Director of Wind Studies at the University of Cincinnati College-Conservatory of Music (CCM). 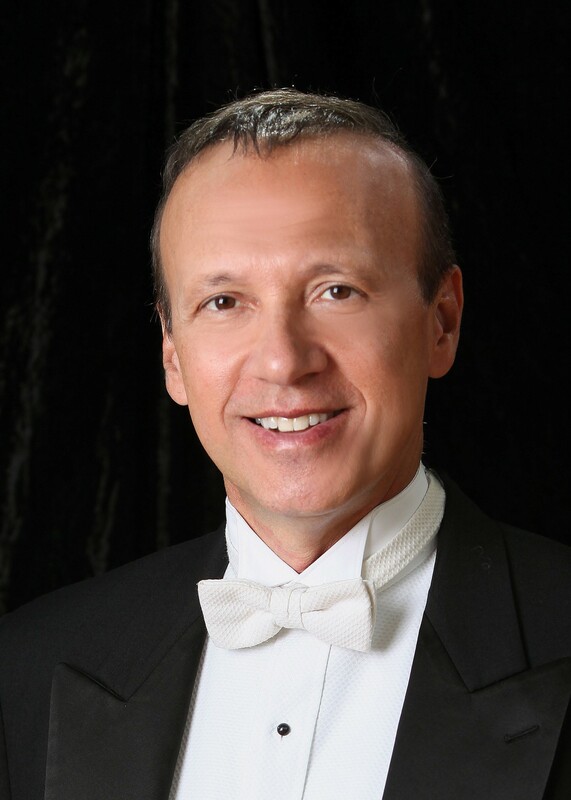 His dedicated service to the profession has encompassed appointments as Artistic Director of the International Youth Wind Orchestra, Founding Conductor of the Orquesta Latinoamericano de Vientos (Wind Orchestra of Latin America), and election as President of the World Association for Symphonic Bands and Ensembles (WASBE).